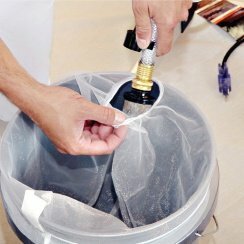 When it comes to straining paints, stains and varnishes, you need the right strainer bag for the job. Our high-quality polyester screen strainers will help remove a wide variety of impurities so you can focus on the job at hand. We offer a pump strainer filter that is perfect for use with paint spray guns and pumps that utilize an intake hose, blocking particulate matter. 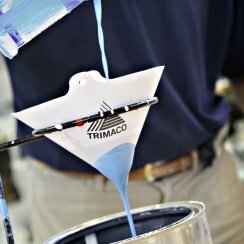 With Trimaco’s professional-grade mesh strainers and filters, which vary from fine to super fine, you can be sure your paint job will have clean results. 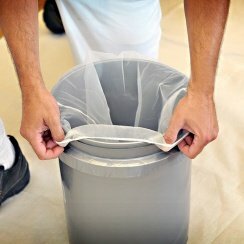 Remove impurities from paint and stain with polyester bag strainers. Strainer with elastic top and opening for pick-up tube. Available in multiple microns, these small strainers are great for paint and stain. Strainer prevents clogging of spray equipment.